Indah Water Konsortium or IWK for short have been establish and kick the game since 1994, a good 21 years and still going strong. 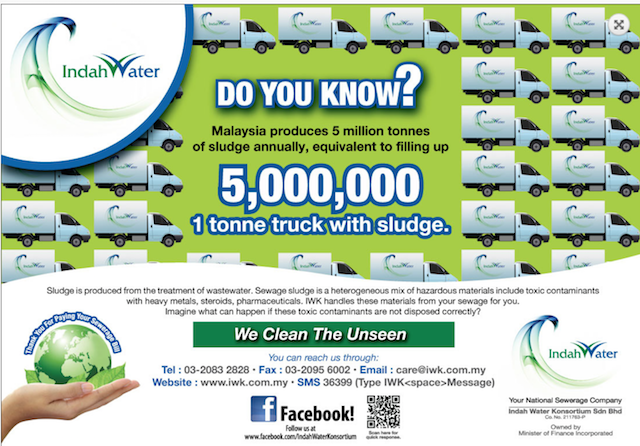 For those who do not know, other more advanced countries such as Japan, the United States, Australia and even Dubai have a very high cost of clean water treatment compared to us in Malaysia. In average, the payment cost we pay to Indah Water Konsortium as a normal household user is only RM8 per month! That’s pretty low, for clean water. Indah Water Konsortium Sdn Bhd (IWK) is our national sewerage company, a wholly owned government company given the task to build and ensure our sewerage system is up and running, modern and efficient for all Malaysians. We rarely appreciate these, not until it’s being brought to our attention. 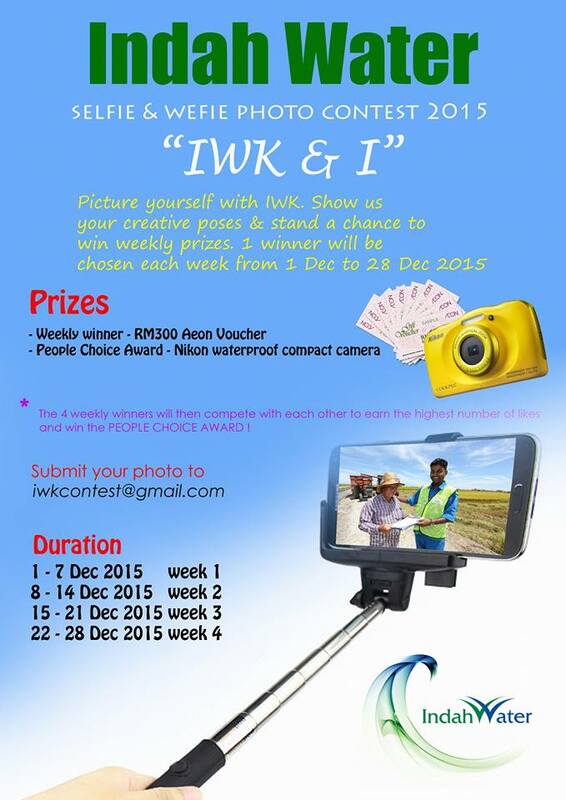 This month, the whole of December 2015, from 1st to 28th December, Indah Water Konsortium (IWK) is currently hosting a Selfie & Wefie Photo Contest 2015. I’m rather pleased that they have taken the effort to award us, the rakyat. Kudos to IWK! Check out the terms and conditions to the contest below.